For other uses, see Palmeiras (disambiguation). Sociedade Esportiva Palmeiras (Portuguese pronunciation: [pawˈmejɾɐs]) is a professional football club based in São Paulo, Brazil. The club was founded on August 26, 1914, as Palestra Italia (pronounced [paˌlɛstɾiˈtaliɐ]), but changed to the current name on September 14, 1942. It is a popular and successful Brazilian club, with around 18 million supporters and 126,000 season ticket holders, including a large number of Brazilians of Italian ancestry. Despite being primarily an association football team, Palmeiras competes in a number of different sports, most notably football. The football team plays in the Campeonato Paulista, the state of São Paulo's premier state league, as well as in the Brasileirão Série A, the top tier of the Brazilian football league system. Palmeiras have won 14 national competitions, making it the most successful club inside Brazil. The club's most important titles are the 1951 Copa Rio, 1999 Copa Libertadores, 10 Brazilian National League titles (Campeonato Brasileiro Série A), 2 Brasileirão Série B, 3 Brazil Cups (Copa do Brasil), 1 Champions Cup (Copa dos Campeões) and the 1998 Copa Mercosul, as well as 5 Interstate titles (Torneio Rio – São Paulo), and 22 State Championship titles (Campeonato Paulista). At the beginning of the 20th century, several young Italians decided to start a club whose main goal was to form a football team that would be representative of the Italian community, and face the big names of São Paulo's football elite. Just over three decades earlier, Italy had been unified – a fact that was not known to some Italian-Brazilians and to some non-Italian Brazilians. There were numerous Italian clubs, but each one represented an Italian Province or was geared to activities other than football. At the time, the game was starting to take hold and drew many players and fans. The founders of the club sought out the Fanfulla newspaper, which was the media mouthpiece that defended the interests of Italians in Brazil, and entrusted young Vincenzo Ragognetti – another supporter of the idea – to draft an invitation to those interested in forming a sports club. After several meetings, 46 interested individuals (led by Luigi Marzo and Luigi Cervo) gathered at the Alhambra Room on what is now Rua do Riachuelo, and founded a sports club for all Italian-Brazilians named "Palestra Italia". Ezequiel Simone was named club president. The Italian Consulate in São Paulo became interested in the new club because it would help spread the word among Italians that their country now had one flag and one anthem. After some initial difficulties, Palestra Italia played its first game in the town of Votorantim (São Paulo State) – beating Savoy 2–0 with goals from Bianco and Alegretti to win the Savoy Cup. In 1916, the team joined the city's main sports league and held its first official championship match. The following year it would be runner-up in the São Paulo State Championship, facing Corinthians for the first time. 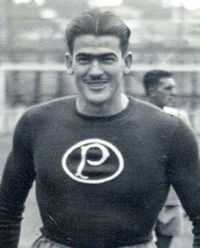 Palestra won that initial game 3–0 with three goals from Caetano; it also won the rematch 3–1 of what would become the team's chief rivalry. In 1920, Palestra Italia captured the São Paulo State championship with a victory over the rugged Paulistano squad in the deciding match. Palestra continued to grow as a sports club and also began acquiring more assets. Estádio Palestra Itália, purchased in 1920, was remodeled and expanded in 1933 – when it became the first Brazilian stadium with concrete grandstands and barbed-wire fences. Starting in 1964, the playing field would be suspended, which gave fans a complete, broad view and also created space in the lower levels. The club continued to grow and won more championships, and at the outset of the 1930s became the three-time São Paulo State football and basketball champion – a feat which prompted Palestra fans to chant in celebration: "With the feet or with the hands, Palestra is the best in the land." – "They don't want us to be Palestra, so then we shall be Palmeiras – born to be champions." Tensions flared during the final league match, where Palmeiras' opponent was São Paulo Futebol Clube (SPFC) which was laying claim to the assets of the former Palestra Italia. Palmeiras took the field carrying the Brazilian flag under the leadership of army Captain Adalberto Mendes. Palmeiras was leading the score by 3–1 when a penalty was called in its favor. At that moment, the SPFC ordered its players to consider the Palmeiras squad an enemy of the homeland and pulled its side off the field amid jeers from even the club's own fans. The celebrations began on the spot. The next day, newspapers contained a photograph of Palmeiras entering the field with the headline: "A Leader Dies, A Champion is Born." In January 1951, the Brazilian sports newspaper O Globo Sportivo ran a lead story reporting that FIFA President Jules Rimet would grant unconditional support to holding a world club championship in Rio de Janeiro. The first Copa Rio was held in 1951, with the participation of eight squads, divided into two brackets of four teams apiece: Vasco da Gama (Brazil), Austria Vienna (Austria), Nacional (Uruguay), and Sporting Lisbon (Portugal), playing in Rio; and Palmeiras (Brazil), Juventus (Italy), Red Star (Yugoslavia), and Olympique (France) playing in São Paulo. Clubs such as Malmo, Rapid Vienna, Tottenham, among others were invited to participate in the tournament but not interested. The importance of the 1951 River Cup is linked to the fact that it was the first competition football interclubs with worldwide coverage, having been created even before the Intercontinental Cup. The competition was organised by the Brazilian Sports Confederation, with aid and authorisation from FIFA, and was named for being sponsored by the Rio de Janeiro City Hall. FIFA states that the Palmeiras is de facto the holder of the title of the first World competition between clubs in history. Two editions of Copa Rio took place in Rio de Janeiro and São Paulo, Brazil in 1951, Palmeiras, from Brazil, was the winner of the tournament, while Fluminense, also from Brazil and coorganizer of the 1952 event, won this title in 1952. However, according to the standard FIFA statute, there are official competitions organized by FIFA or at least one of the continental confederations, so this is not the case of the Copa Rio, officially organized by the Brazilian Federation.In the future only FIFA executive committee can change the status of this competitionwhich is still pending. In the 1960s, the standard of quality of Palmeiras play – led by the one who would come to symbolize this period of football excellence, Ademir da Guia – led the Palestra Italia team to be called the "Academy" of Brazilian football. Headed by Filpo Nunes, Palmeiras players won the most important national competition in 1965, the Rio – São Paulo championship, with stand-out performances. Blow-outs against top rivals included seven goals scored against Santos, five against Botafogo in their home stadium of Maracanã, five against São Paulo, and another four scored against Vasco. The title came to Palmeiras in another lopsided victory against Botafogo at Pacaembú Stadium in São Paulo. That same year, the Brazilian Sports Federation (CBD) used the entire Palmeiras roster to launch Minerão Stadium and represent Brazil in an official national team match against Uruguay for the Inconfidência Cup. The day that it donned the green and white, Palmeiras as Brazil was victorious 3–0 over the Uruguayan blue. In the previous year, Palmeiras had won the Rio de Janeiro Quadricentennial Cup by beating the Paraguayan national team 5–2 and besting Peñarol of Uruguay in the final. By the end of the 1960s, Palmeiras won the Copa do Brasil and the Roberto Gomes Pedrosa tournament – the Brazilian Championship equivalent at the time. These victories laid the groundwork for the second Palmeiras Academy, with players like Luís Pereira, Leivinha, Emerson Leão, Dudu and César. Led by Oswaldo Brandão, the team captured several titles in the 1970s. It was three-time São Paulo State champion – emerging undefeated in one of those tournaments – two-time Brazilian Champion, three-time winner of Spain's Ramón de Carranza Trophy, and winner of Argentina's Mar del Plata Trophy – considered the South American Club Championship. 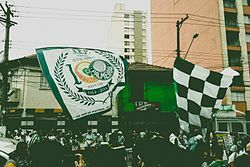 Accustomed to victories at the "Academy" in the 1960s and 1970s, Palmeiras fans saw the 1980s come and go without championships or titles. In 1986, Palmeiras fielded a good team – routing Corinthians 5–1 and playing an historic game in the semifinals of the São Paulo State Championship against that same rival, prevailing 3–0. The team had arrived at the final of the State Championship – 10 years after winning its last State title – but lost to Inter de Limeira. On October 29, 1986, Palmeiras fans adopted the "Pig" as their mascot. At a game against Santos, the rival fans were chanting "pig"; the Palmeiras crowd responded with "Come On Pig!! Come On Pig!! Olé Olé Olé..." and "Go Piiiig...." A few days later, Placar sports magazine popularised the new nickname when it published an issue with Jorginho Putinatti – the symbol of that generation – holding a pig in his lap. There were two noteworthy events during this decade. In the 1983 State Championship against Santos, referee José de Assis Aragão scored a goal for Palmeiras in the 47th minute of the second half. Striker Jorginho kicked inside the penalty area, the ball was on its way out but it hit Aragão – who was on the goal line about a meter from the goal and went into the Santos net. The game ended in a 2–2 tie – much to the chagrin of Santos. The second unexpected event occurred on November 11, 1988, when striker Gaúcho defended two penalties against Flamengo in a game for the Brazilian Championship at Maracanã. Gaúcho was put in goal after keeper Zetti broke a leg in the final minutes of the match. The game ended in a tie, and advanced to the penalty shootout phase. During the shootout, Gaúcho stopped two shots, from Aldair and Zinho. To cap off the evening, he scored a penalty himself while wearing the goalkeeper's jersey. In 1989, Palmeiras had another chance to celebrate a title. Undefeated until the second last match, the team was eliminated when it lost to Bragantino in the semifinals of the São Paulo State Championship. The 1980s ended without significant victories, but the 1990s would make up for that. Palmeiras found itself in a sixteen-year hiatus without any significant trophies until 1992, when the club signed a sponsorship deal with Italian dairy giant Parmalat. The deal lasted for eight years and quickly turned Palmeiras into Brazil's richest club. In the 1990s, Palmeiras enjoyed countless achievements, winning numerous important titles. In the first full year of the relationship with Parmalat, the team won the Campeonato Paulista in 1993, beating its biggest rival Corinthians in the final. That same year, it also captured the Rio-São Paulo Championship as well as the Campeonato Brasileiro. The next year, it achieved the unprecedented feat of becoming two-time State Champion and two-time Brazilian Champion. In 1996 it handily won the Campeonato Paulista, scoring more than 100 goals. Palmeiras also won the Mercosur Cup and the Copa do Brasil, both in 1998. 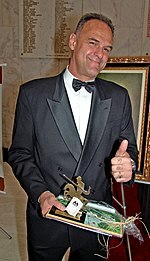 Featuring players with tremendous technical prowess like Edmundo, Evair, Zinho, Rivaldo, Alex, Marcos and César Sampaio, Palmeiras achieved victory at South America's premier competition, the Copa Libertadores de América in 1999; an accomplishment ranking among the biggest in the club's history. In 2000, it would also win the Brazilian Champions' Cup, a tournament contested between Brazil's top-level clubs. Having won key national and international competitions, Palmeiras was proclaimed Brazilian football's Best Team of the 20th Century of Brazil by the São Paulo State Football Federation (FPF), newspapers Folha and Estado de São Paulo, and Placar magazine rankings. Famous coach Luiz Felipe Scolari led the team to one of the club's most important titles: The 1999 Libertadores Cup. The final match was against Deportivo Cali from Colombia. Important players from that team were World Cup winners Marcos, Zinho and Roque Júnior, as well as Alex, Evair, Paulo Nunes and César Sampaio. In the first leg, in Cali, Deportivo beat Palmeiras 1–0. In the second leg, at Estádio Palestra Itália, Palmeiras beat Deportivo 2–1 and won the competition in the penalty shootout. In the same year, in Tokyo, Palmeiras disputed Intercontinental Cup, but were defeated in the final by Manchester United of England in what was described as a heartbreaking loss because they played better against the Red Devils. Therefore, the Palmeiras fans still dream of their greatest glory, a Club World Cup by FIFA. 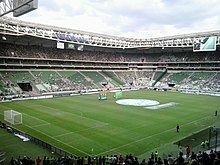 In 2000, Palmeiras disputed 4 Final Championship Matches. At first, the team won the Rio-São Paulo Tournament after beating Vasco da Gama in the final. In the first leg, in Rio de Janeiro, Palmeiras beat Vasco 2–1. In the second leg, at Morumbi Stadium, the club from São Paulo beat Vasco 4–0. The club again reached the Libertadores Cup final, this time against Boca Juniors from Argentina. In the first leg, in Buenos Aires, the game ended 2–2. In the second leg, at Morumbi Stadium, in São Paulo, the game ended 0–0 and Boca won the competition in the penalty shootout. In the same year, Palmeiras won the Brazilian Champions' Cup after beating Sport Recife in the final. By the end of the year, the club again reached the Mercosur Cup final, losing to Vasco da Gama. Parmalat sponsorship ended in 2000 and left the club in dire straits. After a mildly irregular season in 2001, with the biggest achievement being a Libertadores Cup semifinal against Boca Juniors, the club faced its worst year ever in 2002 and was relegated to the Campeonato Brasileiro Série B, which it won in the following year, returning to the Série A in 2004. The 2004 and 2005 seasons were rather successful when the team finished in the 4th position in both years, and qualified for the Libertadores Cup in 2005 and 2006. Unfortunately, Palmeiras was eliminated by rival's São Paulo in the Round of 16 in both years. 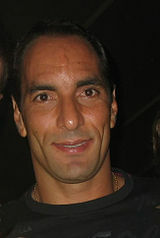 In 2007, Palmeiras had its legend Edmundo playing his last season for the club, and almost achieving one of the top 4 positions in the Série A, failing to do it in the final round of the tournament. In 2008, Palmeiras made a sponsorship agreement with Traffic, a Sports Marketing Agency. The club made some big investments on new players and also on coach Vanderlei Luxemburgo. This new strategy paid off with the 22nd Paulista Championship, with a 5–0 victory over Ponte Preta in the final's 2nd leg. Palmeiras finished 4th in the Campeonato Brasileiro, which qualified them to the 2009 edition of the Copa Libertadores. The year of 2008 also marked the beginning of the planning phase for a new stadium for the club, as well as remodeling the social club, to prepare Palmeiras for the club's centenary year in 2014. The planned arena is now Allianz Parque. In 2009, the club reached the quarterfinals of Copa Libertadores, eventually losing to Uruguayan side Nacional on away goals. In the same season, Palmeiras was close to winning the Brazilian League, but political problems inside the club caused internal turmoil and affected on-field performances, and Palmeiras finished the League in the 5th position. From 2010 to 2014, Palmeiras played its home matches in the municipal Pacaembu Stadium, as the previous home ground Palestra Itália Stadium was demolished to accommodate the club's new arena, it is now the most technological stadium in Brazil. In 2012, Palmeiras won the Copa do Brasil for the second time, beating Coritiba in the final. The team, led by coach Luiz Felipe Scolari and captained by midfielder Marcos Assunção, was unbeaten in the championship. 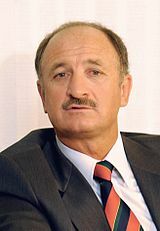 Less than 3 months after winning the Copa do Brasil, Scolari would leave the club that was having poor appearances in the Campeonato Brasileiro. This way, Palmeiras signed with Gilson Kleina, then coach of Ponte Preta, but the team failed to improve its performances in tournament and was relegated to the Campeonato Brasileiro Série B, for the second time since 2002, in its history, after a draw against Flamengo, on November 18, in round 36 of the 2012 Série A. In 2013, now under the administration of President Paulo Nobre, elected in the end of 2012, and with a campaign with clear superiority in the Série B, Palmeiras was promoted back to the first division with six games to spare, ensuring participation in the Série A of 2014, the year of the club's centenary. Palmeiras suffered a setback early on in its 2014 centenary season as head coach Kleina was sacked, swiftly followed by the departure of striker Alan Kardec and defender Henrique. Argentinian Ricardo Gareca was signed to coach the team after the break for the World Cup in Brazil, but failed to meet expectations and was sacked after a short spell. Dorival Júnior replaced Gareca until the end of the season, as the club was fighting against relegation. With first goalkeeper Fernando Prass and midfielder Jorge Valdivia both returning from injury, the players led Palmeiras throughout the second turn as the club managed to avoid relegation and finished the League in the 16th position. In 2015, Palmeiras made a big reformulation in the whole club, with the arrival of a new coach and a new football director. The club signed 25 players in the year, as almost every player from the 2014 squad was negotiated, and also promoted several new talents from the club's youth teams. Palmeiras also improved its program of associated fans, the Avanti, increasing the number to 114 thousand associated fans. The new season was also Palmeiras' first one playing in the newly built home arena, the Allianz Parque, that seats 43,713 fans and consists of fully covered spectator seating, and was inaugurated on November 19, 2014. Palmeiras reached the Campeonato Paulista finals, which they lost on penalties to rival's Santos. On June 9, 2015, head coach Oswaldo de Oliveira was sacked by Palmeiras due to a slow start during the Campeonato Brasileiro. On June 10, 2015, Palmeiras reached an agreement with Marcelo Oliveira, recently sacked from Cruzeiro and Brazilian champion of 2013 and 2014. Palmeiras won the Copa do Brasil for a third time on December 2, 2015. After a 1–0 loss to Santos in the finals first match, the players were received at the stadium by more than forty thousand supporters, as they all watched the second match outside the stadium while thousands were inside the stadium. Palmeiras won the second match 2–1, both goals were scored by Dudu, and secured the trophy on penalties at Allianz Parque, with goalkeeper Fernando Prass saving a penalty and converting the last one. With this title, Palmeiras increased its supremacy as Brazil's greatest champion, with 12 national titles, being 8 League, 1 Brazilian Champions Cup and 3 Copa do Brasil titles. Also, as champions of the 2015 Copa do Brasil, the club secured a place in the 2016 Copa Libertadores group stage. On 12 March 2016, Palmeiras reached a verbal agreement with Cuca as the head coach. Palmeiras also signed some key players for the 2016 season which included: Edu Dracena (champions in 2015), Moisés, Roger Guedes, Jean (champion in 2008 with São Paulo FC and 2012 with Fluminense ), Yerry Mina, and Tchê Tchê. After a dominant year being in first place for 29 rounds, Cuca led Palmeiras to break their 22 years of not winning a national league title. 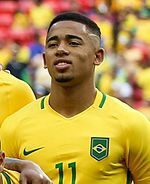 With the help of Gabriel Jesus, the leading goal scorer for Palmeiras, he led the team to win their ninth league title with 12 goals. On 27 November 2016, Palmeiras was guaranteed the title before the 38th round, beating Chapecoense at home 1-0 with a goal from Fabiano in the 26'. With the presence of 40,986 attendees, they broke the old record attendance of 40,035 which was when Palmeiras played against Santos on 12 July 2016. On 25 November 2018, Palmeiras guaranteed their 10th Campeonato Brasileiro title vs. Vasco winning 1-0 in Rio de Janeiro, being the club with the most domestic titles in Brazil. On 2 December 2018, Palmeiras played their last season game in front of a record-breaking 41,216 crowd, which included Brazil's 38th president Jair Bolsonaro. With the win over Vitória 3-2, Palmeiras broke the Campeonato Brasileiro record, going 23 rounds without losing. Estádio Palestra Itália was home of Palmeiras from 1917 to 2010. The venue was also known as Parque Antártica because the area was a park built by the Antarctica Paulista Brewing Company in the beginning of the last century, before being acquired by Palmeiras in 1920. In the past its capacity was listed as 35,000 spectators. However, even though its grandstands were extended in the late 1990s, it held only seats 27,640 people due to regulations which enforce safety and comfort. It was one of the most important Brazilian grounds, considering the amount of decisive and important matches played there. Examples of matches played in Palestra Itália include 1999 Copa Libertadores final, the Copa Mercosur finals of 1998, 1999 and 2000, 1996 Copa do Brasil final and several Campeonato Paulista finals. The last official match played in the stadium was against Grêmio for the Série A on May 22, 2010, and the last match played was a friendly against Boca Juniors on July 9, 2010. Opened in November 2014, Allianz Parque has 43,713 covered seats, being 25,395 lower seats, 14,888 upper seats and 3,430 in the cabins. The stadium was built for multipurpose events. Many other facilities are in place, including enhanced parking area, VIP area, media center for up to 1,000 media members, 3 restaurant and bar, heliport, etc. The first official game at Allianz Parque was held on November 19, 2014, between Palmeiras and Sport in the Brazilian Série A, when hosts Palmeiras lost to Sport Recife 0–2. The first official goal of the stadium was scored by Ananias. On 14 June 2015, Palmeiras won their first Brasileirão match in Allianz Parque with a 2–1 win over Fluminense. Year Avg. Att. Year Avg. Att. 1 As of 27 November 2017. Palmeiras' first kit consisted of green jerseys, white shorts and green socks. Palmeiras' first jersey was blue jersey tribute to Italian National team. After that, a green with a horizontal white band, and a white with a red Savoy cross as the crest. Palmeiras have played in blue shirts many times as a tribute to the Italian National Team. Their supporters are also well known for creating the mancha verde (green stain) of fog and smoke when Palmeiras is entering the pitch. From 2007 to 2009 Palmeiras used a third jersey: a light yellow shirt with a dark green shorts and socks, one of the most successful and best sellers from Adidas. In 2010 Palmeiras the light yellow jersey became the second jersey, and started using a blue and white shirt, with white shorts, for their third jersey. In 2016, Palmeiras announced the extension of the sponsorship agreement with Crefisa and FAM (Faculdade das Américas), which will now have exclusivity in the uniform of Palmeiras. The two companies, which are part of the same group controlled by the couple José Roberto Lamacchia and Leila Pereira, will pay Palmeiras around R$78 million ($20 million) a year, the highest amount ever deposited by a partner in the history of Palmeiras. The uniform will be the most valuable uniform in the Campeonato Brasileiro. Crefisa, a Brazilian bank, announced it would sponsor Palmeiras for the 2015 season. After their success in the 2016 Campeonato Brasileiro, Crefisa announced it would increase fundings to R$90 millions. Originally, Palmeiras was a club heavily supported by Brazilians of Italian descent. Over time, that distinction has reduced, and today the fan base is very diverse. Palmeiras' largest organizadas groups are the Mancha Alvi-Verde (White and Green Stain, a green version of Phantom Blot), TUP (the oldest ultra group), Acadêmicos da Savóia, among others. Palmeiras' biggest rival is Corinthians. The rivalry between the two clubs is considered São Paulo's greatest, and the most intense in Brazil, and their matches are known as the Paulista Derby. Palmeiras was featured heavily in the film O Casamento de Romeu e Julieta where the rivalry between Palmeiras and Corinthians played a major role in the plot. São Paulo FC is another major local rival; the games between the two clubs are called the Choque-Rei (King Clash). Santos FC is another major rival; the games between the two clubs are called the Clássico da Saudade (The Good Times Classic). Located in the city of the same name, only 76 km (47,5 mi) from São Paulo, Santos is also one of the 4 big clubs of the state. The club's official mascots are a green parakeet and a pig. During the late 1960s, fans of Palmeiras' biggest rivals Corinthians would mockingly refer to the team as "Pig", (Porco in Portuguese, a slur used by the elite directed to Italians or Italo-Brazilians residing in São Paulo) and soon after, other teams followed. In 1986, at the Campeonato Paulista playoffs, supporters adopted the pig like their mascot. Although the parakeet is the official mascot, fans will refer to and yell: "PORCO!" (Pig) enthusiastically during matches, as the pig became their preferred mascot. On November 6, 2016, Palmeiras incorporated the pig as one of the official mascots of the club. 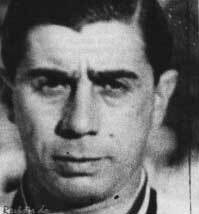 Palmeiras's anthem was composed in 1949 by conductor Antonio Sergi. Sergi also wrote the lyrics for the anthem, but did that under the pseudonym Gennaro Rodrigues. As of April 23th, 2019. The club associates congregate in a general assembly every four years to elect the seventy-six members of the Conselho Deliberativo (Deliberating Council) who in their turn chose amongst them a president for a two-year mandate. As of 2006 the president can only be re-elected once. The following information is a list of all the honours of Palmeiras since the club was founded. * 1978 Kirin Cup Shared with Borussia Mönchengladbach. For many years, Palmeiras had a "second" team that played in the lower divisions of the Paulista Championship. The team was dissolved at the end of the Paulista 2013. Palmeiras has athletic departments in many sports, such as aikido, athletics, archery, boxing, american football, futsal, judo, karate, taekwondo, tennis, volleyball and weightlifting . The club has also a victorious tradition in rink hockey and basketball. Palmeiras has in it history 2 Brazilian Roller Hockey National Championships, being one of the main teams from São Paulo. Leandro Barbosa and Oscar Schmidt, two of the best Brazilian basketball players of all time, started their careers at Palmeiras. ^ Prior to 1959, the Torneio Rio-São Paulo was the largest national tournament in Brazil. ^ The APEA organized a second shorter tournament in September to fill the long period of inactivity before the following season. ^ The LFESP organized a second shorter edition of the 1938 Paulistão to fill the nearly six month interruption of the tournament due to the World Cup. 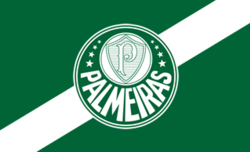 ^ Palmeiras defeated Pelé's Santos in a playoff after being level on points through 38 matches. ^ a b "Laudo de Engenharia - Allianz Parque" (PDF). WTorre Engenharia. 2014-10-29. Retrieved 2015-07-19. ^ "Os clubes brasileiros com mais sócios-torcedores" (in Portuguese). 90min. 30 September 2016. ^ "Ao Estado, Fifa confirma Mundial de 1951 para o Palmeiras - Esportes - Estadão". Estadão (in Portuguese). Retrieved 2018-03-27. ^ "Exclusivo: Documento da FIFA chamou Palmeiras de primeiro campeão mundial | FOX Sports". FOX Sports (in Portuguese). Retrieved 2018-03-27. ^ a b "FIFA Statute" (PDF). p. 5. ^ "65 anos da Copa Rio de 1951: lembre 14 fatos e curiosidades do Mundial do Palmeiras". goal.com (in Portuguese). ^ "COPA RIO - TORNEIO INTERNACIONAL DE CAMPEÕES". campeoesdofutebol.com.br (in Portuguese), 02/22/2015. ^ "Palmeiras pediu ajuda da Conmebol para reconhecer 1951 como Mundial". correiodoestado.com.br/FOX SPORTS (in Portuguese). 15 June 2018. 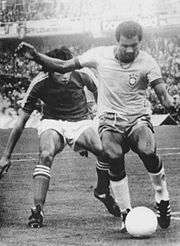 ^ "Ao GloboEsporte.com, explicação da entidade que comanda o futebol é de que Copa Rio tem nível mundial, mas é diferente dos torneios organizados depois de 2000". globoesporte.globo.com (in Portuguese). 11 August 2014. ^ "Há 15 anos, Palmeiras jogava melhor que o Manchester United, mas perdia o título Mundial - Trivela". November 30, 2014. ^ "Paraíso Verde! Na Bola Parada, Palmeiras É Bi da Copa do Brasil". Globo Esporte. ^ "Esportes - Futebol, UFC, F1, Campeonatos do Brasil e do Mundo - msn". Retrieved July 21, 2015. ^ "Love marca no fim e determina rebaixamento do Palmeiras". Gazetaesportiva.Net. Retrieved July 21, 2015. ^ "Eleito presidente do Palmeiras, Nobre afirma: 'Não sou salvador da pátria". Globo Esporte. ^ "Alan Kardec deixa Palmeiras e acerta com rival São Paulo, revela Paulo Nobre". O DIA. ^ Downie, Andrew (August 26, 2014). "Palmeiras mark centenary amid relegation fears". theguardian.com. Reuters. Retrieved September 1, 2014. ^ "Avanti atinge 50 mil sócios em 2015 e fica próximo de bater recorde do Flamengo". SE Palmeiras. ^ "Palmeiras leva gol de "ex" e decepciona 1ª no Allianz Parque". Terra. Archived from the original on February 7, 2016. Retrieved February 6, 2016. ^ "Santos vence Palmeiras nos pênaltis e é campeão paulista". Terra. Archived from the original on February 6, 2016. Retrieved February 6, 2016. ^ "Palmeiras demite Oswaldo de Oliveira". Globo Esporte. ^ "Palmeiras chega a 11 títulos e se isola como maior campeão nacional". Federação Paulista de Futebol (FPF). Archived from the original on February 7, 2016. Retrieved February 6, 2016. ^ "Palmeiras vence a Chapecoense e garante o título do Campeonato Brasileiro" (in Portuguese). A Razao. November 27, 2016. Archived from the original on February 2, 2017. Retrieved January 27, 2017. ^ "Com Bolsonaro na arquibancada, Palmeiras vence Vitória" (in Portuguese). Veja. December 2, 2018. Archived from the original on December 3, 2018. Retrieved December 2, 2018. ^ "Archived copy". Archived from the original on October 29, 2010. Retrieved January 3, 2008. CS1 maint: Archived copy as title (link). 'Federação Paulista de Futebol, article "Estádio_Palestra_Itália". Accessed on January 3, 2008. ^ "Palmeiras attendance in 2015" (in Portuguese). Retrieved 18 January 2016. ^ "Série A 2016 Attendance". Retrieved 27 November 2017. ^ "Série A 2015 » Attendance » Home matches". worldfootball.net. Retrieved July 21, 2015. ^ Almanaque do Futebol Paulista 2000, by José Jorge Farah Neto and Rodolfo Kussarev Jr., published by Editora Panini Brasil and A Bola da Bola, page 414. ^ "Novo chapéu? Palmeiras supera São Paulo e fecha com Crefisa". Terra. Archived from the original on January 24, 2015. Retrieved January 22, 2015. ^ "CREFISA DEVE AUMENTAR PATROCÍNIO E PALMEIRAS PODE GANHAR FORÇA PARA INVESTIR". Torcedores. Retrieved January 3, 2017. ^ "Presidente da Crefisa comemora sucesso da parceria" (in Portuguese). Retrieved 17 July 2015. ^ "Palmeiras" (in Portuguese). Pelé.net. Retrieved 2008-09-28. ^ "Hino do Palmeiras". Letras). ^ "Elenco de Futebol Profissional" (in Portuguese). Retrieved 29 April 2016. 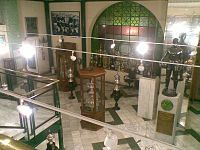 ^ Estatuto da Sociedade Esportiva Palmeiras (club statute), art. 52. 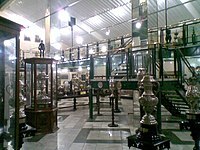 ^ Estatuto da Sociedade Esportiva Palmeiras (club statute), art. 83. ^ Estatuto da Sociedade Esportiva Palmeiras (club statute), art. 113. ^ [permanent dead link]. Terra, Chapter "Palmeiras Minha Vida", article "Presidentes do Palmeiras". Accessed on December 24, 2007. ^ . Globo Esporte, article "Eleito presidente do Palmeiras, Nobre afirma: 'Não sou salvador da pátria'". Accessed on January 21, 2013. ^ . Globo Esporte, article "Novo presidente, Galiotte quer que Cuca continue no Palmeiras em 2017'". Accessed on November 26, 2016. ^ "Galeria de Títulos". SE Palmeiras. 2015. Retrieved 2 February 2017. ^ "Torneio Rio-São Paulo, 75 anos". ABI.org.br. 2008. Retrieved 7 February 2019. Wikimedia Commons has media related to Sociedade Esportiva Palmeiras. Look up Palmeiras in Wiktionary, the free dictionary.